JPG and GIF are the most popular image formats. Even if you don’t have much experience, you probably know that GIF files are moving images and JPEGs are still photos. If you need to use graphics from a GIF and to make the still images of one moving image, the best way to do that is to convert GIF to JPG. 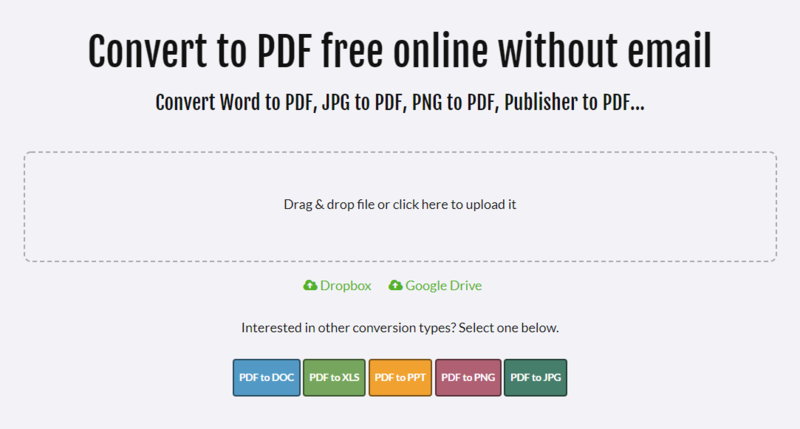 With out free PDF conversion tools you can quickly convert PDF and other types of files to different formats. In this case, you would need to convert GIF to PDF first and then to convert PDF to JPG. The first step is to drop the GIF file here or to import it from your Google Drive or Dropbox account. Conversion starts immediately and when it is done, you just need to click on “Download file” to save the PDF document to your computer or a mobile device (depending from where you are using the tool). You can access our website and tools from any device, be it on a mobile or computer. When you convert the GIF file to PDF, the next step would be to use our PDF to JPG tool to get the JPG file output. The process is completely the same and the tool works on every operating system. You cannot convert multiple files at the same time but you can repeat this action and convert limitless number of files for free. There are no ads, and email registration so you can be sure than no one has access to your GIFs or other files, images. If you need to further change the format of your image file, you can try other PDF tools on our website. They all work the same and there are no hidden costs.